Alternative powered vehicles are all the rage right now. Earlier this week there was speculation about an electric Cayman by legendary Porsche tuner Ruf. Now, you know about air-cooled Porsches, how about a Porsche powered by air? That's exactly what was unveiled last week at the Santa Monica Alt Car Expo by GIMM, Inc. 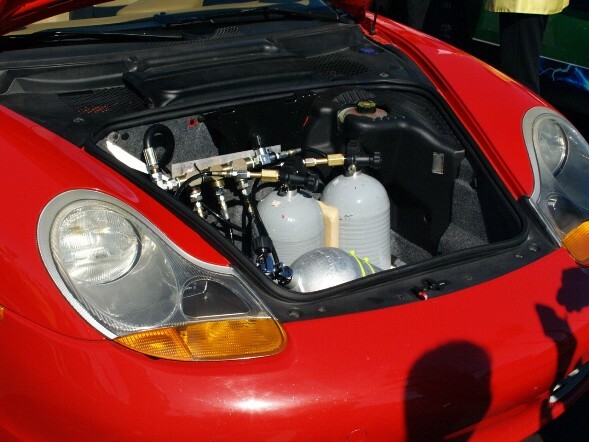 The Silicon valley start-up converted a 1999 Porsche Boxster to house air storage tanks and a patent-pending drive system that uses compressed air multiple times for propulsion. This trademarked energy-recovery system, which emits no pollution, involves a simple multi-chambered motor with only six moving parts and no pistons. The idea of an air-powered car is not new. A number of other companies, like MDI, have been working on this project for years with small improvements over long periods of time. What's interesting about the GIMM, Inc. car, also know as the MIIN AER (Minimally Intrusive Intensely Pneumatic - Air Energy Recovery), is that it doesn't use any type of hybrid system, just compressed air. GIMM CEO Glenn Bell said "We've developed a way to add energy to the system from the ambient environment." The proof-of-concept Porsche car, he said, has a top speed of 65 mph. 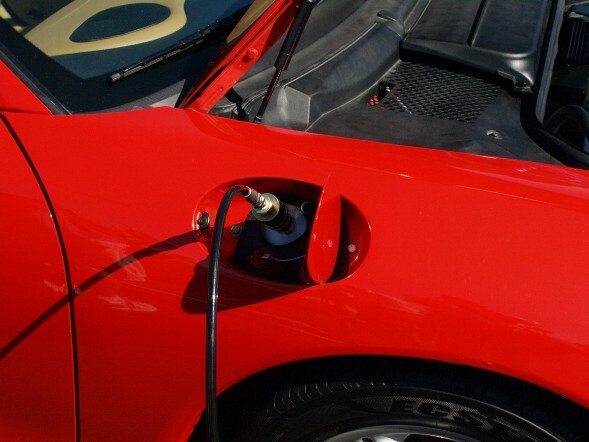 It can travel approximately 50 miles, depending on load and speed, on a full tank of air compressed by about 25 kilowatt hours of electricity. It takes Bell less than 10 minutes to fill the tank with air. These specifications, based on early development, will continue to improve. Take a look at the videos on GIMMs site to see the Porsche MIIN-AER car in action and for the full press release. Looking at those videos we can only hope that the numbers above improve and do so drastically. Bell's accomplishments are nothing to make a joke of. However, it's our opinion, after viewing the videos, that he would have been better off waiting to debut the car until he could showcase better performance and range. 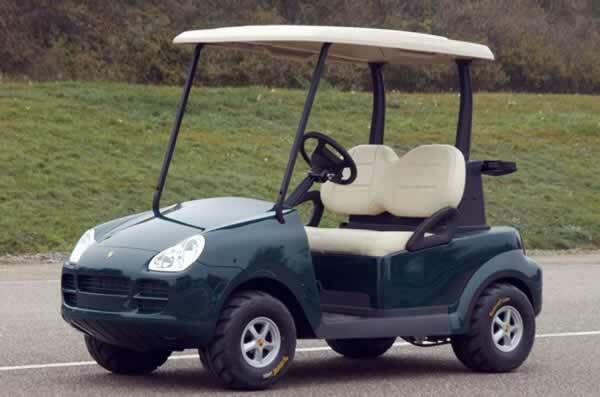 As of today we've seen and driven golf carts with better acceleration. Who or What Caused the Porsche vs. Nissan Rivalry?